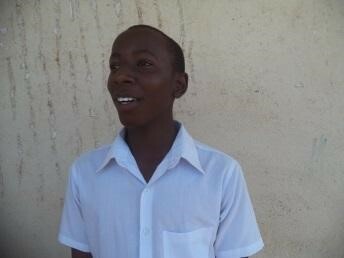 I am Patric Joseph, I am 15 years old and living in Nyamwaga village. I have been raised by my mother after death of his father died when I was 7 years old. Being a first born, I completed primary school under very difficult situation as my mother is poor and had a difficult time meeting my needs. I graduated from primary school and join J.K Nyerere secondary school and thankfully was able to be enrolled into CanEducate program. I am excited to continue with studies as I know that education is a key to the life that I want. I dream is to be a doctor and be able to provide adequate support to my mother and younger brother.